If you are reading this, then the likelihood is you are an engineer with responsibility of the boiler plant in your organisation. Now that could be a factory, a hospital, a chemical plant, a prison or in fact anywhere with a boiler. So, is the boiler plant your responsibility? Yes you say, it is my responsibility. The fact is, the over-riding responsibility for the safe operation of the boilers within your organisation sits with the head of your organisation. It may be the MD or the CEO or some other such title but for this exercise we will call him/her the MD. The chances are, they are not from an engineering background and possibly don’t even know where the boilerhouse is, but they cannot get away from it, in law, they are responsible. So what are their responsibilities? They must identify someone within the organisation who has the competence to manage the boiler plant and operate it in a safe manner. They’ve done that, I hear you say, that’s me. There is a bit more to it than just pointing at you in a meeting and saying, “as from tomorrow, you’re responsible for the boilers”. Education – this is obvious, you must be able to fully understand any training that you are given, you must be able to read manuals and interpret legislation and you must have a reasonable command of mathematics. Training – you must have had adequate training to carry out the task given you. A one or two day course in boilers with an attendance certificate at the end is not enough. You must attend a course that is assessed and you must prove to the assessor that you have understood the training and you will be safe when managing/operating the plant. Experience – this can be the tricky one. To gain experience you have to work on or mange the boiler plant. You can’t do this if you are not competent to do so. So the way to achieve this is by shadowing a competent person, until you are confident that you are ready to undergo the training and assessment. 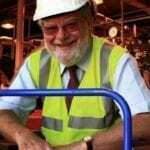 Once you’ve got to the stage of ‘the responsible person’ then you have to ensure you are operating the plant safely, legally and efficiently. Here the CEA publication BG01 is there to help you. If you follow the guidance then you will have complied with the law, and the operation will be safe. The level of manning of your plant compared with the amount of automation on the boilers is critical in this. There are five levels of manning (detailed below) and I feel sure the number of personnel employed in your organisation is not a decision that you will have the authority to make. So again, that responsibility falls on the MD, if they want to decrease the level of manning, then they must increase the level of automation. 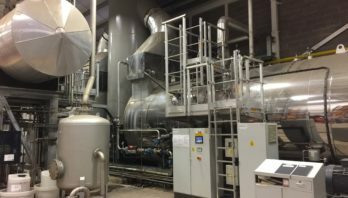 If that is the case, they must ensure the funding is available to carry out the automation of the plant, but even with the highest levels of automation, you will still require fully trained and competent boiler operators. As there are still regular checks to be made, either on a daily basis or every 72 hours, as well as weekly checks, emergency response, start-ups and shut downs etc. depending on the automation levels. What happens if it does go wrong and you have an incident and I can assure you, incidents with boilers are far more frequent than you would expect. Incidents such as combustion explosions, furnace collapse, loss of water, uncontrolled release of steam (energy) all have to be reported to the HSE, even if there are no injuries. They are dangerous occurrences and as such need to be investigated. The outcome of such investigations are almost always the same, lack of training, poor maintenance, contractors competencies not checked, no clear lines of communication. All these are managerial problems and ends up with the most senior manager, the MD. The consequences in the very worst case could be ‘Causing Death by Gross Negligence’, which carries a custodial sentence. I have heard it said by MD’s that they didn’t know the law regarding the boilers. That’s like telling a policeman you didn’t know the speed limit was 70 mph, it won’t wash with him and it won’t wash with the HSE. As a post script you might want to highlight this article and show it to the MD. Derry Carr is Chairman of the Combustion Engineering Association. Derry has been involved with the operations and maintenance of boilers for over 48 years. He started his career as a Marine Engineer on high pressure, water tube boilers, serving mainly on aircraft carriers. On leaving the Navy he has worked predominantly on shell boilers working for BP, Cofely (now ENGIE) and Dalkia. He is an Independent Consultant helping companies to operate their plant safely and efficiently. He also carries out accident and incident investigations and is used as an expert witness in court cases.